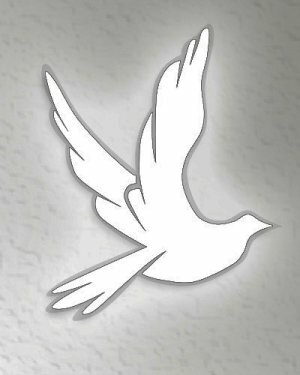 Mrs. Helen Childress Evans, 87, of Greensboro, NC passed away on January 23, 2019. Helen was born June 23, 1931 in Surry County, NC to the late Oscar Childress and Melinda (Lindy) Childress. She is the last of her family. A funeral service will be held at 2:00 p.m. on Tuesday, January 29, 2019 at Burnetts Chapel United Methodist Church. Burial will follow at Forest Lawn Cemetery. Helen was a beautician and scored the highest in her class on the State Board Exam. After raising three children she went back to work. She worked for McCrory’s for many years and retired from Belk. She loved spending time with family and friends, and most especially her grandchildren. Helen was creative and made beautiful Christmas shirts and decopaged. She also had a green thumb. Helen was also a member of Asbury United Methodist Church until its doors closed. She was preceded in death by her husband of 51 years, Bobby Joe Evans; her beloved sisters, Nancy Brendle (Arvil), Susie Elmore (Jim), Stella Childress and Betty Royal (Edwin). Helen is survived by her three loving children; Michael Joe Evans (Claudia) of Winston-Salem, NC, Lisa Ann Evans of Greensboro, NC, and Neal Matthew Evans of Whitsett, NC; two grandchildren, Michael Joe Evans, II (Mikey), Kristine Evans (Nikki); one great-grandson, Steven Antonio Nordan (Stevie); two nieces, Shirley Mabe and Lori Collier; and nephew, Mark Royal. The family will receive friends from 1 until 2 p.m. on Tuesday prior to the service at the church.